The Dirty Snacks Ensemble is an instrumental music ensemble formed by Oakland based vibraphonist/composer Mark Clifford in early 2011. In composing for the DSE, Clifford hopes to pay homage to his many musical influences which run the gamut from Kool Keith to Bela Bartok, and is interested in finding the balance between long form compositional structures, free improvisation, and short ditties while still maintaining musical freedom for his immensely talented ensemble. 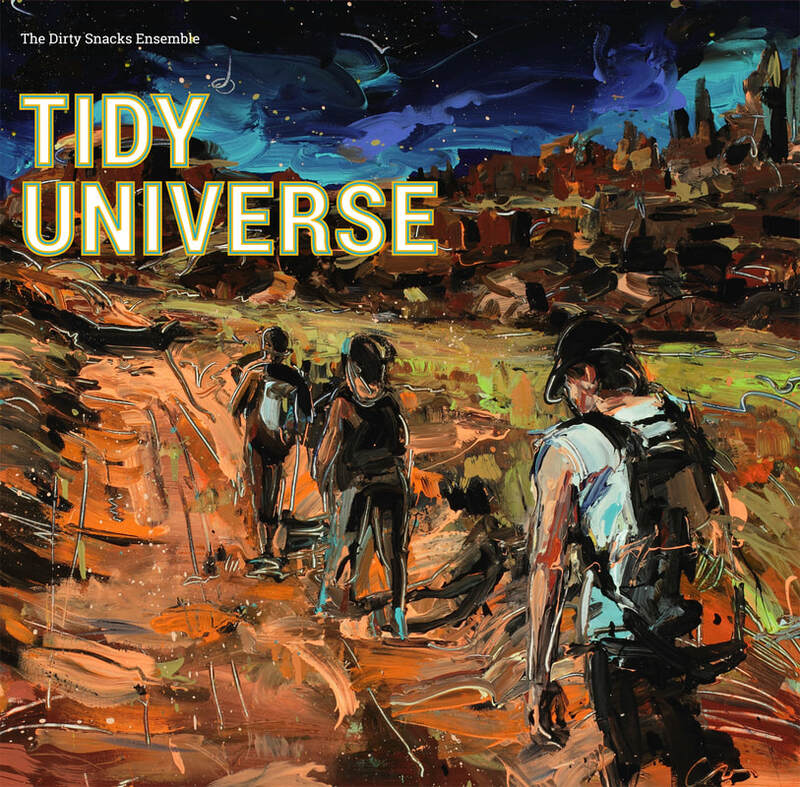 The Dirty Snacks Ensemble released their first full length record Tidy Universe (Recollect Records) in June of 2016, and released a follow up album of rarities and basement recordings, Another Man’s Treasure (self-released) in March 2017. The Dirty Snacks Ensemble will be recording their second studio record, You Would Do Well in the summer of 2019.